You will get the pendant as shown in the pictures. Only one available. 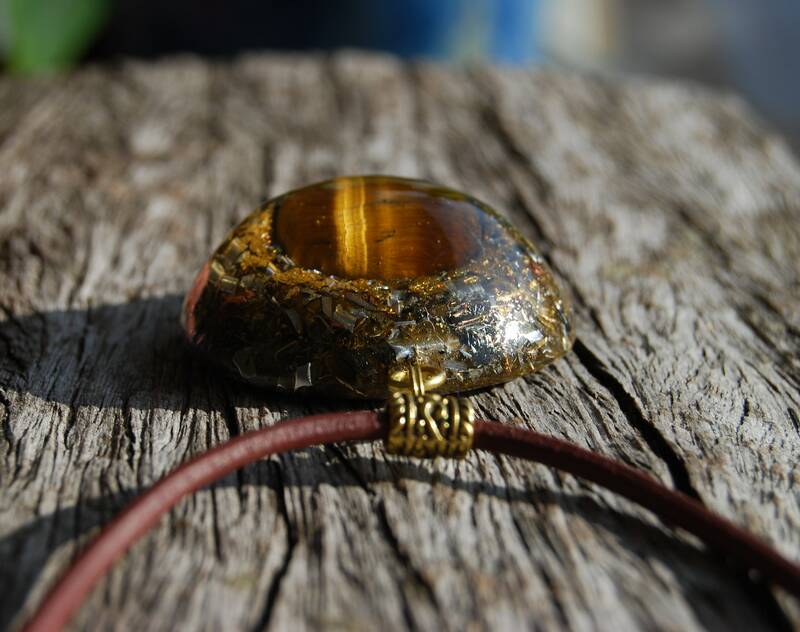 This 5 cm / 2" in diameter Orgonite® pendant is contains 24K leaf Gold. 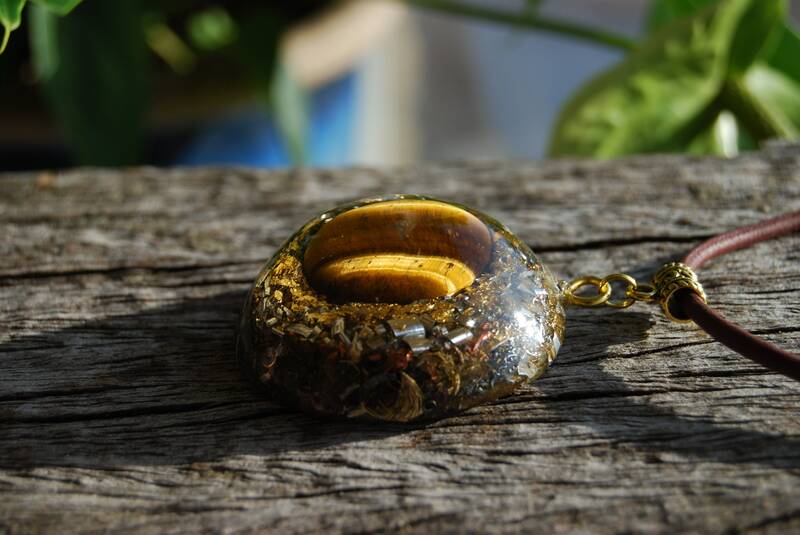 It furthermore consists of Tiger Eye, Rose Quartz (self - love), Pyrite (to enhance), Shungite, black Tourmaline (to protect and ground excess energy) ,Rhodizite (to enhance) and clear quartz (for piezo-electric effect) all within a durable resin setting. 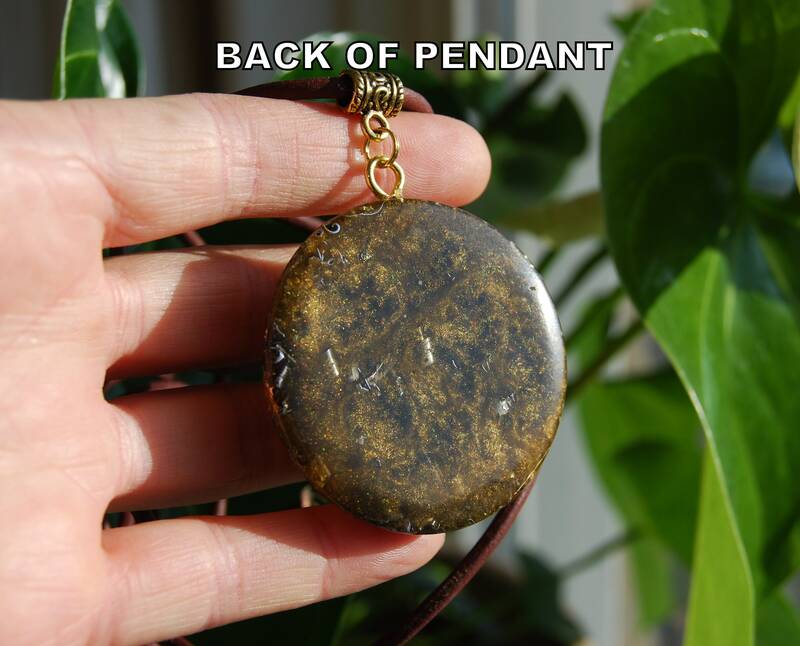 It consists of lots of metal shavings (bronze, aluminium, brass and copper) which is required for the pendant to properly clear stagnant energy according to William Reich's research. 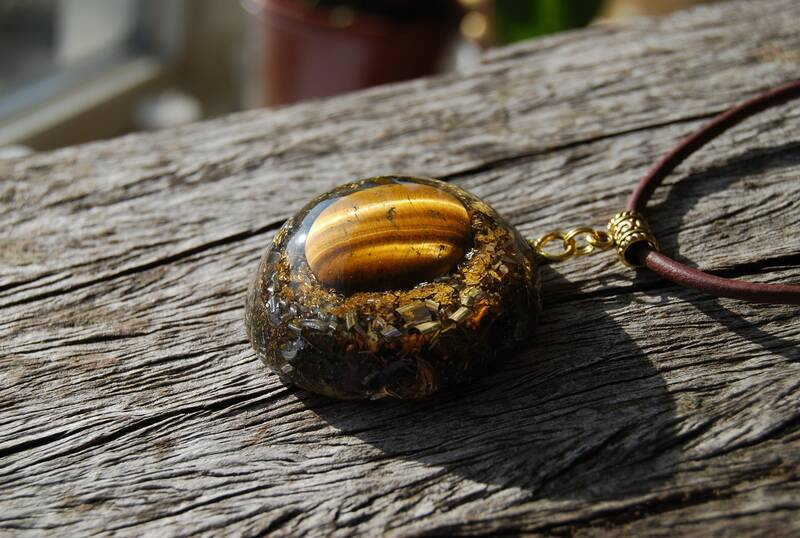 Tiger's eye gemstone is a stone of physical manifestation and clarity. It combines the ability to manifest your will in the material world with the aid of earthy perception and practicality, with the self-confidence and positive energy of the sun. 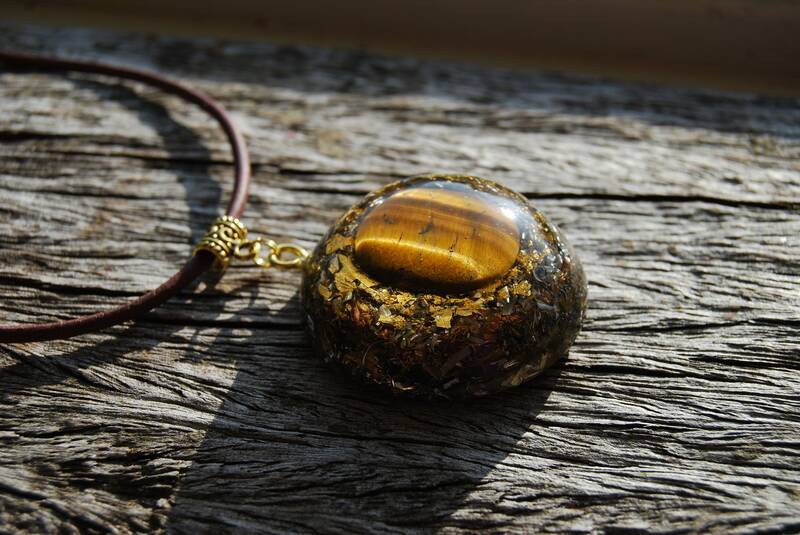 Clarity comes from the tiger's eye crystal's properties to unite perception and awareness into a coherent, streamlined whole. The properties of this gemstone are well-suited for those who tend to dream and come up with ideas, but have consistent trouble with actually clarifying and manifesting intentions. 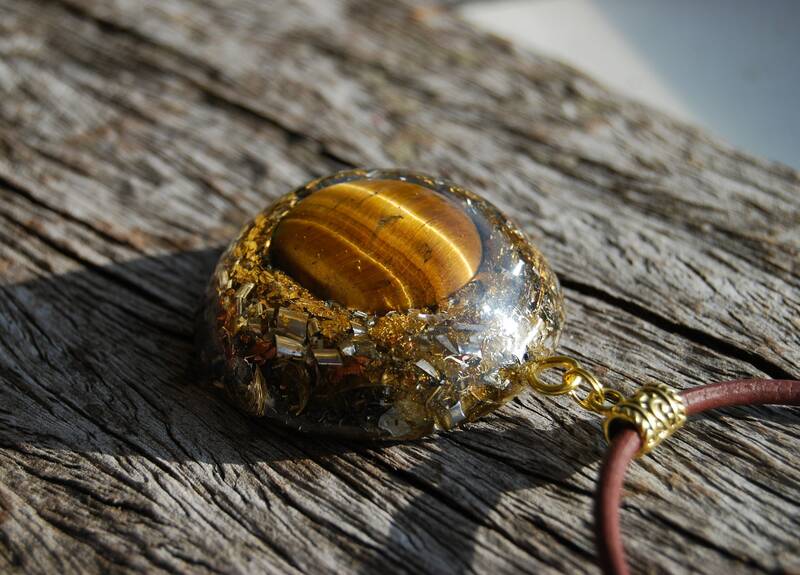 Scattered thoughts are brought together, personal talents and abilities are recognized, and a clear path is laid out in order to actually act and accomplish goals with tiger's eye crystal. Those who could be described as spaced-out can use the metaphysical energy of this stone for grounding and for a realistic, yet very positive, understanding of the material world. 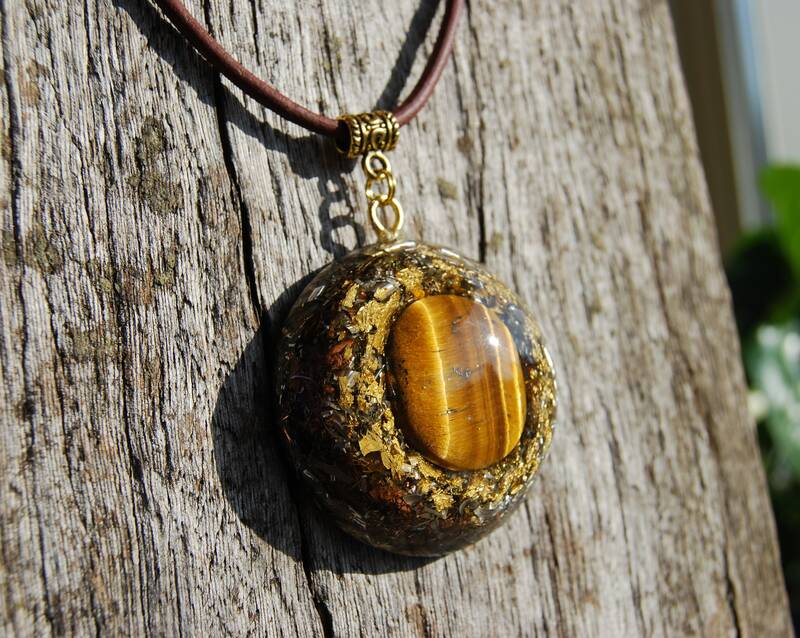 Tiger's eye allows one to discern between wishes and needs. 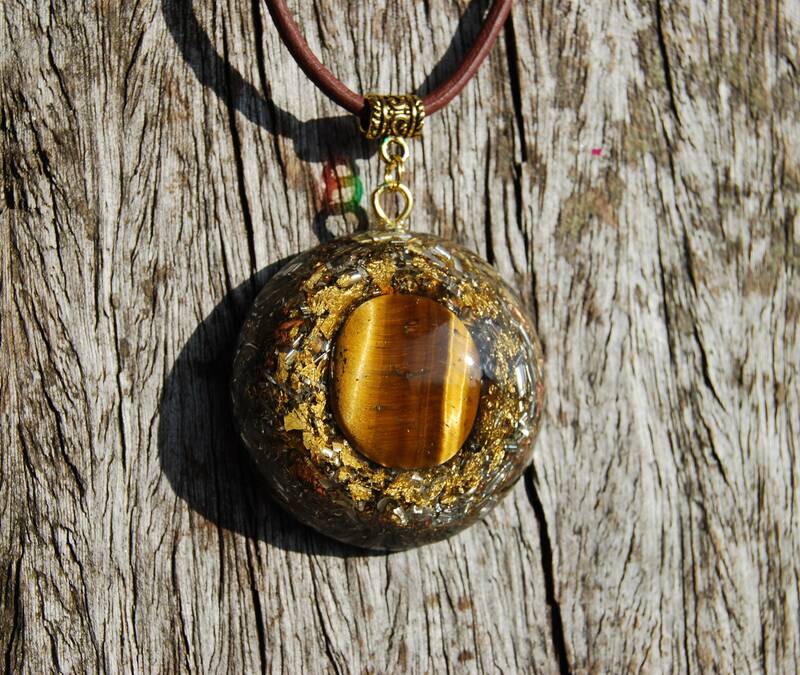 This stone can be placed over the navel chakra for grounding energy. 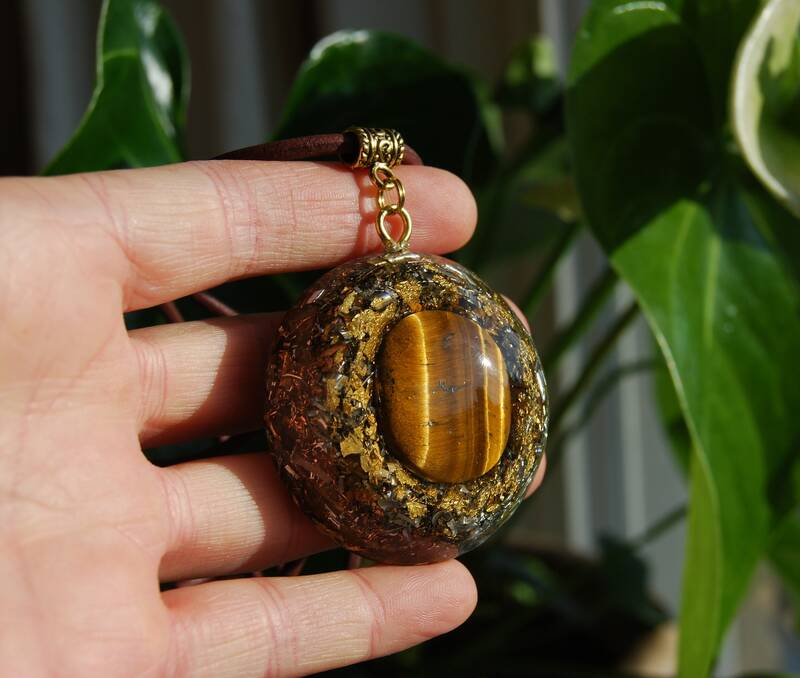 The properties of tiger's eye are not only useful for the dreamers of the world. For the doers and those with a more earthy disposition, this stone can be used to enhance psychic ability and raise vibrations if held over the third eye chakra. 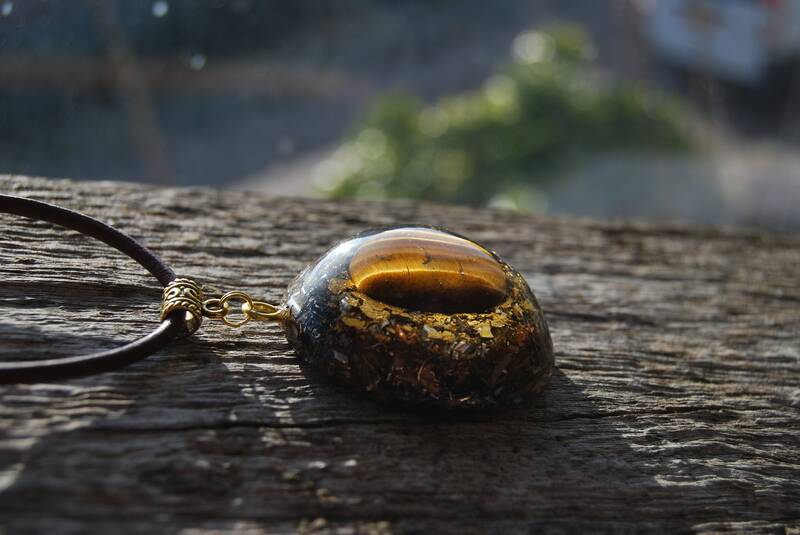 Tiger's eye gemstone has traditionally been considered as a PROTECTIVE stone warding of negative energy and ill will for the wearer. It is also good for recognizing the greater beauty found in the world, facilitating a deep appreciation through an awareness of the divine that is found in everyday life. Associated with prosperity, abundance and success. Promotes confidence, courage and strength. Builds will power, inner strenght and personal power. Brings harmony, strong motivator and enhances passion for life. Heals and balances the Solar Plexus. Powerful stone of good luck and protection, like evil eye. It helps develop intuition and psychic ability. Je l'ai bien reçu. Il est conforme à la photo. Quant aux propriétés de l'Orgone, je ne les vois pas vraiment.